Hearing loss is awful no matter how it happens. I’m sure it has been stellar to play guitar for The Who, as Pete Townshend has done for decades. Sadly though he now suffers from serious hearing loss and tinnitus. Townshend contracted noise-induced hearing loss (NIHL) after years standing too close to powerful amplifiers projecting extremely loud rock music. Eric Clapton has also suffered hearing loss because of his work as a blues guitarist and rock musician. Townshend and Clapton have had legendary careers, but their suffering today from hearing loss is very real and awful. Perhaps the worst cruelty occurs when members of our armed services suffer hearing loss. These are people who volunteer to keep us safe. These are people who choose a career which may call for them to go to war and fight and possibly die to protect the rest of us. Of course you would expect that the least we would do as a nation is to send these men and women out to train and serve with the safest possible equipment. 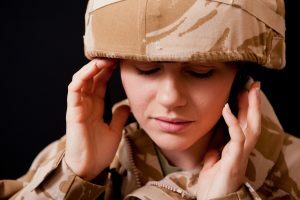 Sadly, though, news reports are emerging that military service members were issued defective earplugs that may have caused permanent hearing damage to hundreds of thousands of soldiers. These earplugs were developed by the Aearo family of companies, which was then bought out by 3M Company. The earplugs were called Dual-Ended Combat Arms Earplugs (CAEv2). And between 2003-2015, Aearo and 3M sold millions of pairs of these earplugs to the branches of the armed forces. If you served in the military during this period and were issued dual-sided earplugs (with a distinctive olive and yellow color), you got the Combat Arms Earplugs.